Sterling carried on along its slippery slope south today, amid ongoing market fears that the UK could leave the EU with a ‘no deal’ Brexit. What was once seen as an outside chance and an improbability is being priced into the market as a possible outcome. With there being very little in the form of economic data, the market continued to focus on political rhetoric and sentiment. The Brexit referendum two years ago has meant that the currency market is mainly focusing its attention on political news. This trend has continued this week. Essentially, investors are selling the Pound on the expectation that Brexit concerns may actually worsen in the coming months, particularly as there aren’t expected to be any major Brexit developments until October. So much doom and gloom surrounding sterling that you think there is no likelihood of the current trend changing ever. But many times in the past this has been proved to be the wrong outcome. The Rothschild supposedly built their fortune by buying when “there was blood on the street” and everyone else was selling. Hopefully that won’t be what happens here but I can see many reasons why we could see a sudden reversal in sterling’s fortunes and it would be a very big mistake to assume/bet that movements are a one way street. You can read what the major banks are predicting and what other economic and political events might impact on the currency markets in our latest currency forecasts. GBP: will sterling continue on its woes or could UK GDP support it? Sterling has continued on its relentless fall against its major peers yesterday, after Brexit rhetoric dominated the direction it took. Liam Fox’s comments over the weekend added fuel to the fire, stating that he now saw risks of a no-deal, due to the stubbornness of the EU, at 60%. A leading French bank stated that there could be a fall below 1.20 on GBPUSD in the case of a no deal. Rabobank also stated that a hard Brexit could send GBPEUR to parity. GBP saw new lows for 2018 yesterday versus the euro and there is suggestion from some of the leading American banks that a no deal scenario could see the pound fall a further 10 percent versus the USD. What is clear is that the market is now ignoring traditional data points when it comes to Sterling. The interest rate hike from the Bank of England last week proved this, with very little favourable movement from Sterling after the hike. The market is now focusing on politics for direction. Though data may not be taking centre stage, Friday’s preliminary UK GDP figure will be watched for support for the decision the Bank of England took. A poor figure here could make the market consider the idea that the Bank of England may need to cut interest rates again in future meetings, which would not help credibility during this uncertain period. A lull in notable Eurozone data has meant that the currency has taken its direction from the events around it. Sterling has had pressure heaped on it and the euro has benefited from this move while the strength of the dollar over the last week looked like it has eased, which again benefited the euro. EURUSD being the most traded currency pair in the world, was taking direction from USD gains made from buoyant expectations around the US economy and an expectation of further rate hikes this year. However, as that eased, the euro found its feet again. 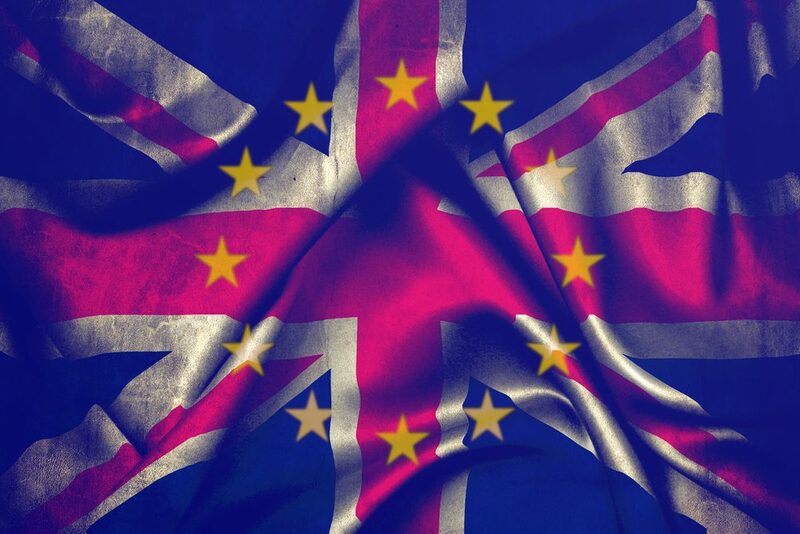 Key technical levels have been broken across many of the Euro’s pairings, and the market will continue to watch for further Brexit rhetoric to form its next opinion. After all, Brexit will have arguably just as big an effect on the Eurozone as it will the UK. The US dollar has enjoyed a recent run of relative strength versus its peers, and though this has slowed a little lately, the currency continues to be buoyed by expectations of a strengthening US economy and expectations that the Federal Reserve will continue to hike US interest rates. Yesterday’s economic data in the US wasn’t hugely influential, with crude oil inventories the only figure of note, coming out near enough at expectations. A little surprisingly, the US dollar was also little influenced by the day’s news that China had announced to counter US trade tariffs with its own tariffs on Chinese imports of US goods. Instead, focus was on Federal Reserve President Thomas Barkin’s comments that the strength of the US economy meant that interest rates would need to keep being hiked. ‘It is difficult to argue that lower than normal rates are appropriate when unemployment is low and inflation is effectively at the Feds target,’ he said. Today see’s US PPI figures, an inflation indicator which will be watched by markets to give further support to the argument that the US should be increasing interest rates further very soon.